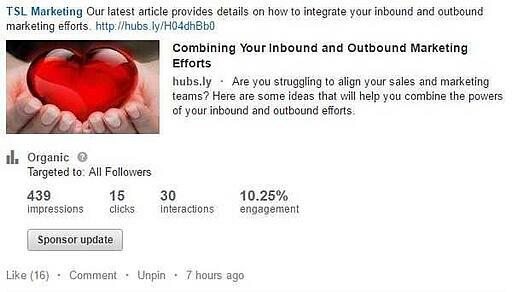 Having trouble getting clicks and conversions from your LinkedIn company page posts? Follow these tips before you dive into your next content promotion project. takes your skills to the next level. Knowing how to market to people on LinkedIn moves you to expert territory. You know your products and solutions, you've hammered out detailed buyer personas, and now you're ready to start building content. LinkedIn is a great place to promote content and offers, but doing so isn't as simple as just making the post and expecting people to engage with it. I want to lay out some tips that I've had success with in the past in the hope that you'll be able apply them to your own B2B marketing efforts. It takes more than just knowing how to share content on LinkedIn to be successful. 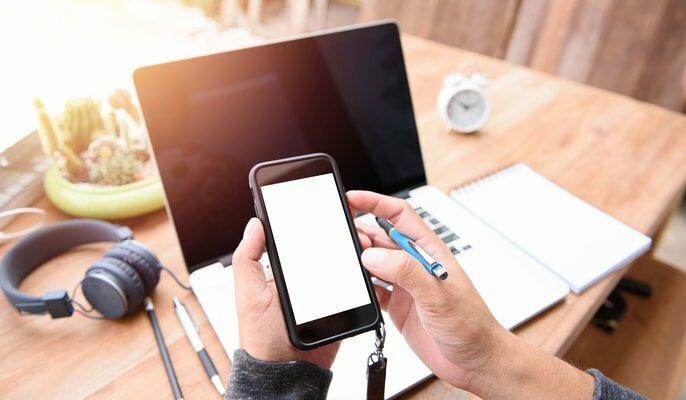 You must understand your audience AND their motivations—both personally and professionally—if you want to create engaging content campaigns for LinkedIn. 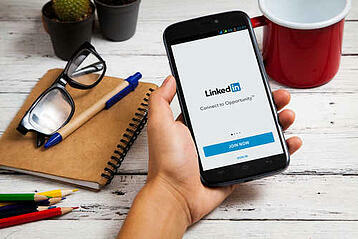 Why Do Your Customers and Prospects Log into LinkedIn? Think about the last time you logged into LinkedIn. Did you log in to try to solve your company's biggest challenges? Did you log in to browse products and solutions that would help your organization achieve its goals? Did you log in looking to buy a product or service? Looking for a job/updating your profile so you can look for a new job. Reading business news on LinkedIn Pulse or even writing your own article. Scanning updates from friends or colleagues. Interacting in a LinkedIn Group discussion. When you logged in, you might have had an active business pain. You may even currently be in the market for a product or service to help you address those pains. But that's not why you logged in to LinkedIn. With so many messages flooding the LinkedIn news feeds of your customers and prospects, how do you stand out? 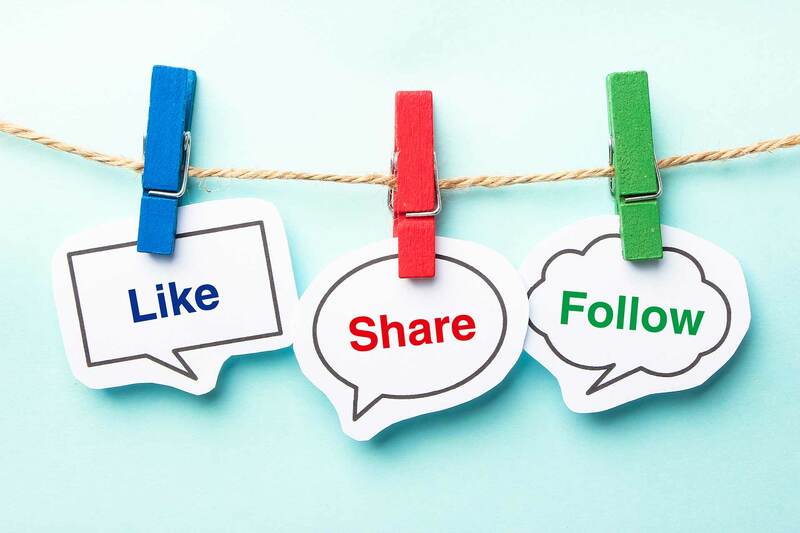 What can you do to appeal to your LinkedIn network in a way that gets them to click, like, share, and even comment on your company page updates? 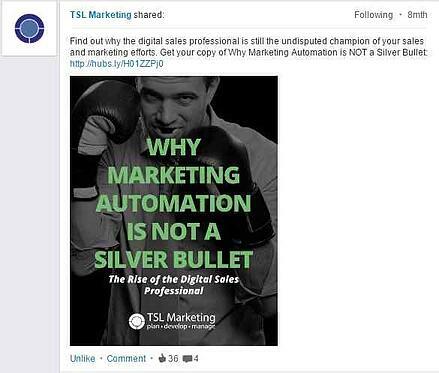 Here are some ideas on how to build content that kills on LinkedIn. When you look at LinkedIn as the intersection of the personal and professional, it forces you to start treating your business prospects more as people and less like businesses with pain points. When I work with clients on LinkedIn content strategies, I encourage them to build content that their audience wants to see. To do this, they have overcome the urge to be overly promotional. They have to overcome the urge to create content that they want to push out, but that their audience doesn't necessarily want. Remember that LinkedIn is still social media. While product and pain point marketing can be effective, it's not going to get same the kind of engagement that appeals to someone on a personal and professional level. What Type of Content Will Turn Heads on LinkedIn? If you're looking for better engagement rates on LinkedIn, you're going to have to tap into your knowledge of your buyer personas. When you're trying to spin up your marketing machine, you need to look at what kinds of content and offers will appeal to your broadest possible audience of potential buyers. If your content will only attract people who are actively looking to buy, then your audience is going to be limited. Consider the See, Think, Do marketing framework. Not everyone is in an active buying consideration stage. So how do you attract people before they're looking to buy? Generate more site visits and contacts for your marketing systems. Get on consumers' short lists for when they are ready to buy. Tip 1: If you know both your offerings and your customers very well, then you should know the questions that arise when someone starts to consider products or services like the ones that you offer. But what about attraction before they're in that consideration stage? Think about providing that potential future customer with content that will help THEM, not necessarily the company that they work for. You could talk about their business pain points and the reasons that your products help solve for these all day long. As a marketer, you should be very good at that. But can you speak to their personal professional needs and desires? Look at a company like HubSpot. They make a marketing automation tool, but their content and blogs deal with helping marketers solve their everyday challenges and become better marketers. How to build a business case for your project or idea. How to convince your CFO to fund your project. Tips on better resume building. Advice on how to have a more efficient workday. Build guides based on their title, such as The IT Architect's Guide to Managed File Transfer or The Storage Manager's Guide to Data Migration. Consider the day-to-day pains of your potential customers. I'm not talking about the business pain here. I'm talking about the trials and travails of your prospects face on a daily basis. If you can build content that both addresses their personal professional challenges and is topic adjacent to your services and solutions, then you've hit a sweet spot. In the end, remember that you're marketing to a person, not a company with pains. Tip 2: If you're creating helpful content, then you're on your way to standing out. But if it's unique, then you're going to start moving ahead of your competition. I'd love to read about that topic that I've seen on 20 other sites today—said no one ever. Your content will stand out if it has a unique perspective. The more unique you can be in regards to the topics and concerns of your specific buyer personas, the more likely that those people will take notice of your update and click through. Tip 3: What information and offers do you have that your prospects may be willing to pay to access? What can you give away for free that hurts a little to give away? Those are the kinds of content and offers that will attract engagement. This is especially true if you want someone to exchange their contact information for your offer. What are you doing for them in return? What are they getting out of this transaction? If the answer is content that is neither helpful, nor unique, nor provides them value, then you've got some work to do. There's more to all of this than just a great idea. Once you have that great content idea that you're sure will attract more engagement on LinkedIn, then you have to start building your company page updates. Let's get into some of the specifics of building an attractive post. Don't just drop a link to your website into LinkedIn and expect that whatever renders will work. You can't just hit "share" and call it a day. You're going to have to put some thought into your copy. Make it brief and to the point. Front-load the copy with the words that you think will stand out to your audience. Ask the viewer to do something/tell them what they'll get. You don't have a lot of time to catch someone's attention as they're scrolling through their feed or the feed on your company page. Try to say what you want to say with as few words as possible and leave longer explanations to your destination page. Readers will scan their feeds and notice the first words in your post. The first two words in your post are signals for the scanning eye. They scan and decide to keep reading...or not. Finally, make sure that you have a CTA that clearly establishes what the reader will get when they click through. People are more likely to take an action if you ask them to take an action. Be direct. Avoid implied CTAs. LinkedIn gives you three distinct places where you can make copy edits. Make the most of this. If the text that renders when you add a link isn't ideal, then make edits. This is the part of the update where you can write the most copy. You can add up to 600 characters on a Company Page Update or 250 if you're including a link (Note: Andy Foote has an extensive rundown of LinkedIn character count limits if you're interested in reading more). While you could write a lot of copy here, we recommend keeping it short and to the point. Your headline provides you space to provide additional detail about your offer. In the example below, the post highlights that the link goes to an eBook, that the eBook is free, and the title of the eBook. The headline will auto-render when you add a link to your social media copy. But if you click into the space, then LinkedIn will allow you to alter the headline. The meta description is scraped from the meta description on your destination page. This is the same text snippet that will show up when your web page is found in search engine results. If a description doesn't render or if you'd like to edit the text that shows up, then LinkedIn allows you to click into this space and add your own text. While more of the meta description will show up when a post is viewed on your company page, it will truncate when it shows up in a user's LinkedIn feed. If you want a full meta description to be visible in user feeds, then you should keep the text here very brief. Note that in beta version of company pages that is currently being rolled out, there is no space for meta descriptions. Getting the content idea down is one thing, but having an attractive image on your post helps wraps everything together. Great content plus a great visual should help you increase your click and overall engagement rates. 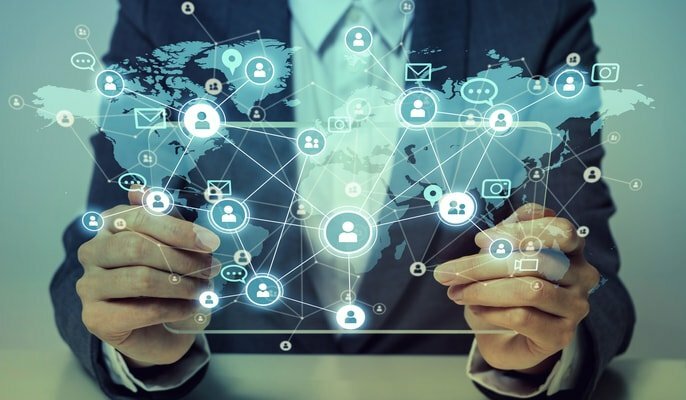 The LinkedIn news feed is filled with updates from connections, publishers, companies, and LinkedIn Influencers. In order to stand out, you need to make sure that your update contains interesting visuals. 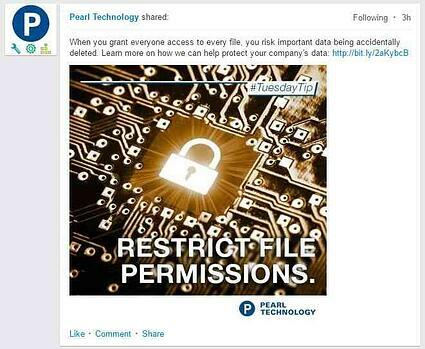 When you share a link, LinkedIn will automatically scrape in the page's title, meta description, and image. LinkedIn will look for an image on your source page that is the best fit for the post. You can optimize for this by building the appropriate Open Graph Protocol into the code of the site. If you don't have a developer to help you with this or if the right image isn't rendering, then you may also choose to upload your own image. They're looking for you to use an image that's at least 80 x 150 pixels. LinkedIn gives some additional image guidelines here under the header Link sharing. Remember that LinkedIn might not always choose the best image. You might also run into situations where your ratio was right, but when the image gets uploaded, it shrinks and makes the text hard to read. Have no fear though. LinkedIn offers the ability to upload Embedded Rich Media. This means more space in the feed and more room for CTA text inside of the image itself. What Is Embedded Rich Media? LinkedIn also allows you to attach a larger-sized image in your update. When you're making the update, you just click on the paperclip icon. You can upload images or PDFs to the post using this feature. The headline and meta descriptions are no longer an option. Clicks on the image in a user's feed don't go to the destination link unless the update is sponsored. Organic image clicks will only open a light box. LinkedIn has a good help section on their advertising specifications page. Click on the link and go to the section titled "Embedded Rich Media." This will show you the allowable formats and optimal sizes for images. When persona-centric content or offers are melded together with great copy and an attractive visual, you will see better click and overall engagement rates for your LinkedIn posts. Making this happen involves a coordinated effort from content strategists, copywriters, designers, and maybe even your social media team. Don't have all of those pieces? Don't worry. There are plenty of agencies and freelancers who can help. If you're looking for an assessment of your overall LinkedIn marketing strategy, reach out to me. My team can help with everything from content and offer creation, to landing page development and B2B social media consultation. We work with sales and marketing professionals at B2B companies to help them master LinkedIn. If you're looking for more tips on how to use LinkedIn effectively, then subscribe to our blog for insight on using LinkedIn for B2B marketing.